He has served as a Member of Central Advisory Committee of the Food Safety and Standards Authority of India, (FSSAI), Govt. of India, New Delhi (2010-2016). He was a Member of the Research Council of the National Physical Laboratories, India. He was the area-Coordinator of National Conference of Standards Laboratories (NCSL), USA and Regional Representative (Asia-Pacific) of the World Association of Industrial and Technological Research Organizations (WAITRO). He also served as a member of the Technical Committee of the National Accreditation Board for Testing and Calibration (NABL) and is currently the Board Member of National Accreditation Board for Testing and Calibration (NABL). He established a training facility at VIMTA in Public Private Partnership with UNIDO (United Nations Industrial Development Organization) to provide trainings to developing nations, in the field of Food and Pharma analytical testing and quality systems. Under his leadership VIMTA has made many lasting customer relationships and won several prestigious projects from across the globe. He holds a Phd. , in Inorganic Chemistry from Nagpur University, India. Ms. Harita Vasireddi is the Managing Director of VIMTA since 2015. She has close to 20 years of contract research and testing industry experience. She joined VIMTA as the Executive Assistant to the Managing Director in 1995 and since then has held a range of roles of increasing responsibility, which has enabled her to develop extensive Operational, functional, and quality systems expertise. Her roles in VIMTA have included Joint Managing Director, Director-Quality, Director-Projects, Manager Operations (Inspection Services )and Executive Assistant to the Managing Director. 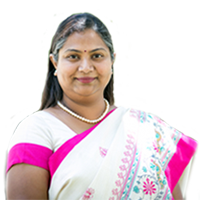 Ms. Harita holds a Bachelor of Pharmaceutical Sciences degree from Mysore University, India and an MBA in Operations Management from Boston College, USA. Mr. Harriman is the Executive Director - Operations and the co-promoter of VIMTA. He is associated with the Company right since its inception. He was inducted to the Board as one of the Promoter Directors in 1990 and was appointed as Technical Director of the Company in 1992. He has extensive lab operations experience and is highly knowledgeable on GXPs and applicable regulations. He has led the Company's effort in building state of the art IT infrastructure, systems and their compliance to applicable regulations. He is a D. Tech in Electronics from Toronto, Canada. Mr. Prasad, Executive Director-Administration has 33 years of rich experience at VIMTA in administrative role, overseeing functions such as Accounts, Finance, HR Facility Administration and Public Relations. Prior to joining VIMTA he had 11 years of experience in Department of Panchayat Raj (local government body). 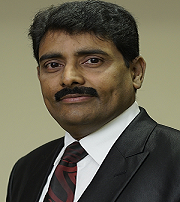 He started his industrial career at VIMTA as General Manager in 1986. He was inducted to the Board as one of the First Directors of the Company in 1990. 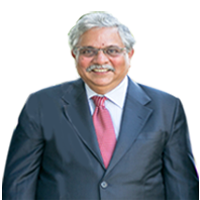 Dr. Bhatnagar is the Vice-President and Test Facility Management of VIMTA’s Preclinical division. He has over two decades of pharmaceutical industry experience in nonclinical drug discovery and development (small and large molecules) along with toxicological assessment of Botanicals, Food Additives, Medical Devices and Agrochemicals in both R&D and CRO settings. 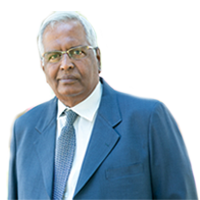 He had held scientific and leadership roles with leading global organizations like Vanthys Pharmaceutical Development (Eli Lilly – JBL), Nektar Therapeutics, Lupin and Orchid. 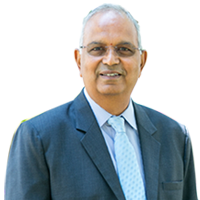 Prior to joining VIMTA in 2016, Dr. Bhatnagar worked with Cadila Healthcare Ltd. where he supported the development of NCEs, biologicals and generic drugs as Senior General Manager - Toxicology. He has published and presented several papers in international journals and seminars. 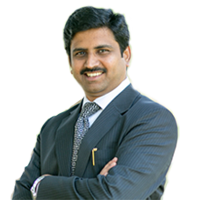 Dr. Bhatnagar holds a PhD in Life Sciences from Bhopal University and MBA (TQM) from National Institute of Management. He received postdoctoral training in investigative and regulatory toxicology and is a European Registered Toxicologist. Dr. Dadke is the Vice-President of VIMTA’s Biopharma Division. He has extensive experience in both, academia and industry, (USA and India) for more than 20 years. Upon completion of PhD from Cancer Research Institute (ACTREC), Mumbai and India. Dr. Dadke worked at Abbott Laboratories, Chicago, USA in the Metabolic Disorders Program. He was involved in the identification and validation of novel targets in the area of Type II Diabetes. Post his tenure at Abbott Laboratories, Dr. Dadke joined Fox Chase Cancer Center in Philadelphia, USA, where he continued his research in the field of Diabetes. His research resulted in a Nature Cell Biology publication which was cited as a “hot article” by the journal. Upon his return from the USA, Dr. Dadke worked at Dr. Reddy's Laboratories, Lupin, and Accutest Biologics Pvt. Ltd. He has valuable experience in bio-similar characterization (cell based and analytical) and small molecule mechanism of action studies. His work contributed to IND filings and involved evaluating both in and out-licensing deals in national and international regulatory markets. 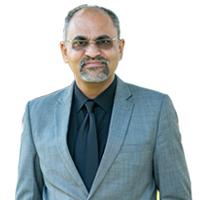 Dr. Mukesh, is the Vice President of VIMTA’s Clinical Research and Clinical Reference Lab Divisions. He has close to two decades of experience in handling various leadership roles at the functional, operational and business consulting levels for large CROs and Central Labs. His specialties include: Laboratory Medicine, Medical Affairs, Process Excellence, Regulatory, Central Lab and Molecular Diagnostics. He has led and managed large team with techno-commercial expertise, handled life sciences business consulting, business development responsibilities with success in large size business deals and sustained customer engagements. He has extensive experience in implementing systems for Metrics, Compliance & Audits, and Cost-optimization / rationalization. Dr. Mukesh is a Post Graduate Physician with over 16 years of pathology practice and Pharma experience in Central Lab, Clinical Research & Development, and Regulatory & Medical Affairs. Professional Affiliations include - AACC, CAP, MPAI, IAPM, IMA, ISHBT. He is an NABL Technical Assessor for 15189:2012 & CAP- International Inspector. Mr. Janardhan Mergoju, is the Vice President of VIMTA’s Environment Division since 2004. He has close to 26 years of industry experience in the fields of environmental assessments, environment management, regulatory clearances and compliances for the major industry segments such as power, mining, ferrous and non-ferrous, cement, infrastructure such as airports, townships, pulp & paper and chemical. He is an approved Environment Coordinator and Functional Area Expert under QCI-NABET Scheme. He had joined VIMTA in August,1997 as an Environmental Engineer and during the last 19 years went on to grow in ranks as Group Leader, Associate Vice President, Vice President and subsequently now heads the Environment Division. He started his career as Research Fellow at NEERI, Ahmedabad (Gujarat) and worked for two years. Subsequently, worked with Kirloskar Consultants Limited, Pune (Maharashtra) as consultant for five years in the fields of Environmental Engineering and Environment Management. Mr. Janardhan is a graduate in Civil Engineering from College of Engineering, Osmania University, Hyderabad, India and Post Graduate in Environmental Planning from CEPT University, Ahmedabad, India. 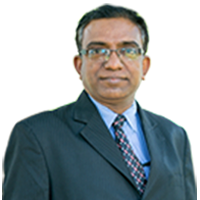 Mr. Jagadeesh Kodali is Vice President of VIMTA’s Food Division since 2016. 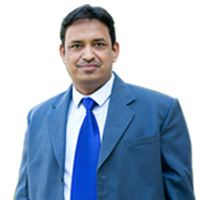 He has close to 18 years of experience in lab management, analytical research and testing industry. He started his career in VIMTA as Trainee Scientist in 1999 and spent over 6 years handling pesticide residues and toxins analysis in Food & Agri and Beverages. Further he worked for several MNCs in India & abroad in Analytical Research and Testing Field at Senior Manager levels. Before his second stint at VIMTA, Mr. Jagadeesh was Head-Lab Operations for INTERTEK India Food Services. During his career he mastered chromatographic techniques (HPLC & GC), mass spectrometry (LC-MS / MS, GC-MS / MS, Time of Flight and Magnetic Sector HR-MS) and spectroscopy (AAS & ICP-MS). Mr. Jagadeesh holds a Master of Science in Chemistry degree from JNTU, Hyderabad, India and pursuing Ph. D. in Chemistry from BITS-Pilani, India. Mr. Sreenivas is the Head of Strategic Business Development function at VIMTA since 2015. He is responsible for the global business development and marketing activities for VIMTA’s Preclinical, Clinical, Analytical and Biopharma verticals. He is also responsible for growth in profitability, organizational reputation, understanding nuances of customer requirements with close oversight on project management and service deliverables. He has proven experience in planning, execution and leadership of new business strategies. He also has strong knowledge of core sectors i. e. , pharma, biotech and food. Mr. Sreenivas has 17 years of work experience in India and USA. 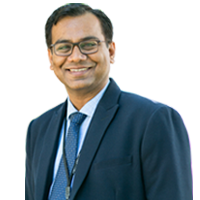 He holds a Bachelor of Pharmaceutical Sciences degree from Nagpur University, India and an MBA in Marketing from University of Oklahoma, USA. Mohana Krishna Vadlamudi is Associate Vice President - HR since Aug 2018. He is responsible for envisioning the roadmap for HR, its strategy, and implementing HR priorities aligned with the overall organizational goals. Mohan has over 30 years of experience and has led several HR functions in organizations such as Pulse Pharmaceuticals, Vasant Scribes, Accentia Technologies, Computer Software Solutions International (CSSI), and also handled various assignments in Defence services. In his experience, he has led the transformation of HR into a strategic partner, facilitated organization-wide transformation and capability development, and was instrumental in building a strong talent pool through a series of leadership development initiatives. He holds two Masters degrees in Human Resources Management from JNTU, Hyderabad, and Public Personnel Management from Osmania University. He is passionate about learning and exploring new ideas in HR and organization development. 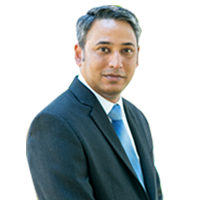 Mr Amit Pathak is the Chief Financial Officer of the Company from January 2019. He is responsible for developing and deploying the overall financial strategy to support the operational and business goals of the Company. 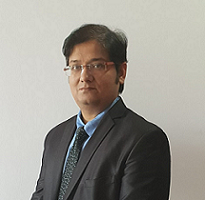 He is a qualified Chartered Accountant & Company Secretary and comes with 16 years of professional experience across various aspects of Finance including Financial Reporting, Financial Planning & Analysis, Company Secretarial function, Taxation, M & A transaction, Working Capital Management, Corporate Restructuring, IT Solution implementation, Due diligence etc. He is an experienced finance professional with vast experience in various industries which include logistics, trading and manufacturing. Prior to joining Vimta, Amit has worked in key positions at Gati Limited, Birla Group and McNally Bharat Group. Sujani has 11 years of experience, and is a qualified Company Secretary from The Institute of Company Secretaries of India (ICSI). She also holds degrees in Law and in Commerce from Osmania University of Hyderabad. She was appointed as a Company Secretary and Chief Compliance Officer from September 2018 and heads secretarial and legal functions. Specialized in direct tax laws and business and commercial laws. He has wide experience and expertise in the areas of Company Law, Income Tax Investment regulations, Other Corporate Laws, and foreign collaborations. He is a Chartered Accountant. A professional with 35yrs of diversified experience in pharmaceutical, biotech / biopharma manufacturing operations of several dose forms of over 70 Rx & OTC products. Rao held executive positions such as Senior Director and Vice President of Technical operations of multinational companies and successfully managed manufacturing operations, staff / people, budgets, facilities, engineering, material management, projects, CMOs and CROs and other infrastructures. He holds B.Pharm, MS Degrees. An Experienced professional with a successful career in banking sector over 36 years with key areas of expertise include credit, foreign exchange, Business development and Management. Prior to joining Vimta, she was associated with Andhra Bank as a probationary officer in 1977, worked in various assignments as Credit Manager, Branch Manager, Zonal Manager and General Manager of Large and Mid Corporate Credit, MSME Credit, Planning and Board Secretariat in corporate Office. A graduate in Science and holds a Master degree in Business Administration (MBA) from Andhra University and a certified member of CAIIB from the Indian Institute of Bankers. VIMTA Labs wishes to pay a tribute to all its clients and thank them for their faith and trust in the company. We know who you are and we will always remain grateful for the excellent business relationship that we share. We believe we can continue to assist your business and grow together, in the new millennium.